Intentionally sited to reinforce a student/pedestrian corridor connecting student housing with core academic facilities – the building supplants a previous surface parking lot, and restores the rigorous urban fabric that is a legacy of this metropolitan campus. 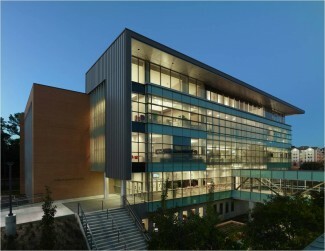 This central location, connected to the student center and adjacent to the library, enables the building to leverage its location to maximize visibility in creating a new modern entrance to campus. Charged with creating an environment of openness, convenience and accessibility, the building form and materials are manipulated on the south facade to respond to the prominence of the adjacent student pedestrian axis. Interior public circulation is consolidated within a four-story atrium to the south, which parallels interior movement and activity with that along the exterior pedestrian corridor. 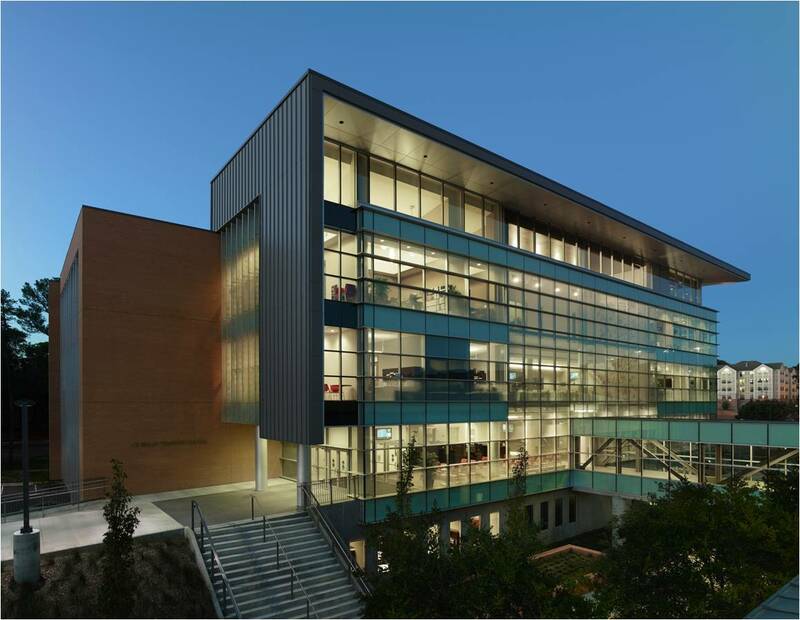 Cladding this form in a glass curtain wall system of varying opacity emphasizes openness and transparency, and creates a visual connection between students inside and out. Sustainable features have been rigorously integrated into the building design, which recently was awarded a LEED® “Gold” Certification.